Back to school means early mornings, packed lunches, routine, homework, and – flat tires? When you’re rushing around in the morning to get the kids ready for school and preparing to take on the day yourself, the last thing you want to deal with is a flat tire. The fact is, it happens. But with the Slime Flat Tire Repair Kit, you can be back on schedule in no time at all. I’m no stranger to waking up and finding I have a flat tire. With the homes in my area built so close together, when my neighbors are doing work on their home, nails end up in my driveway. And not just that, but driving in general you never know when you’ll accidentally run over something – nails, screws, glass, etc. If it happens on the way to work or on the way to drop your kids off at school, it throws a major wrench in your schedule. At first thought, you’ll likely either have to wait for roadside assistance to come and help, or you’ll change the tire and put your spare on, which can be a messy task. So it’s official, day is ruined. That’s not the case if you have the Slime Flat Tire Repair Kit handy, which I do. As it already stands, I’m in dire need a new set of tires. I’m sure it’s only a matter of time before a flat happens, but if it does I’m prepared. 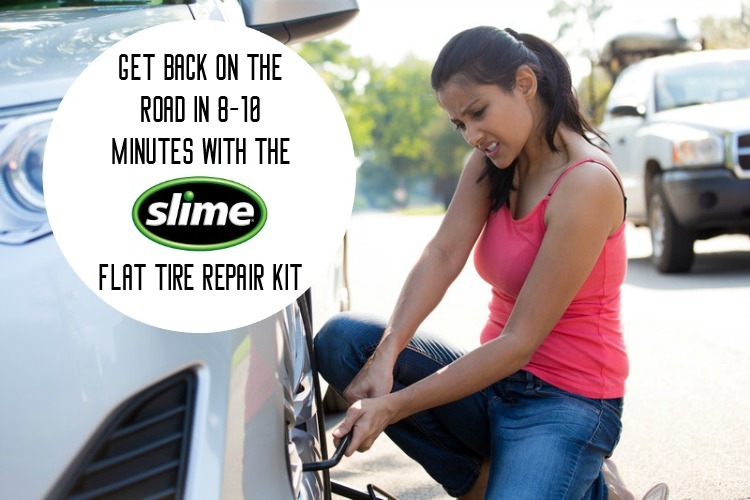 With the Slime Flat Tire Repair Kit, getting back on the road takes just 8-10 minutes, and it’s really easy and safe to use. It’s the cleanest and smoothest process I’ve ever come across. 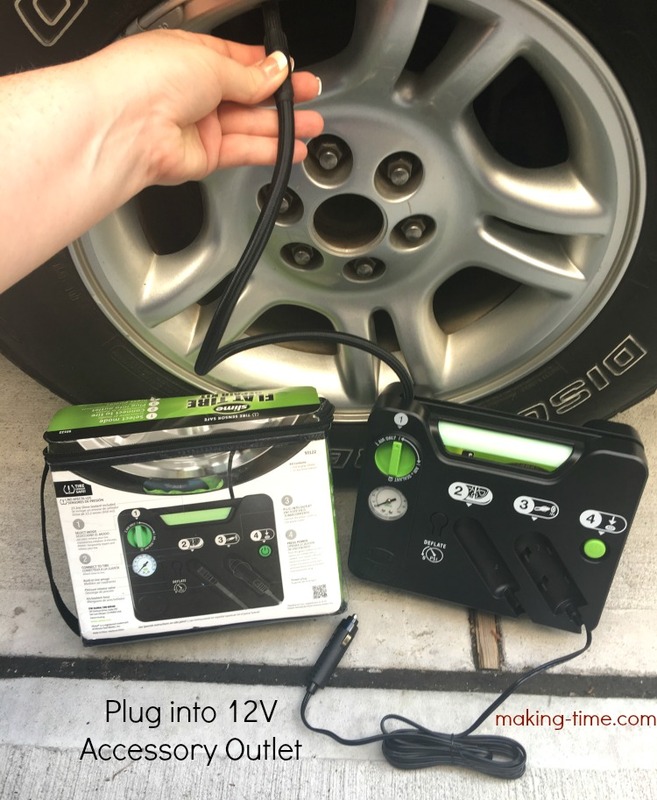 With the vehicle engine turned off, simply connect the hose to the tire valve, plug the inflator into your vehicle’s 12V accessory outlet, push a button, and the repair kit will inflate air into the flat tire, along with a slime sealant that will fill any punctures up to 1/4″ in size. Then, it’s back on the road! 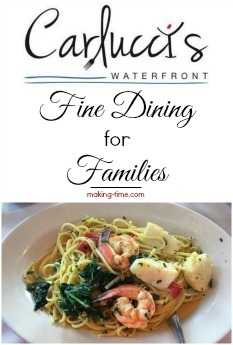 Includes 15.2oz. 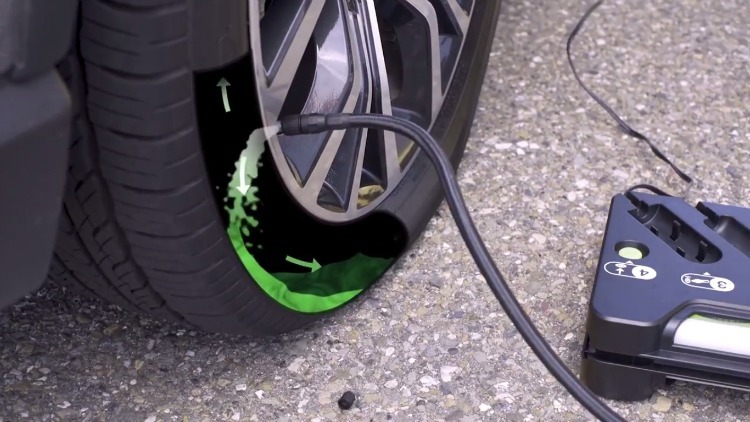 Slime Tire Sealant (TPMS safe). Dial display gauge is integrated right into the inflator, so you can monitor tire pressure as you inflate. Plugs into a standard 12-volt accessory outlet. Sealant is approved by leading automakers, and is non-toxic and non-corrosive. Repair lasts up to 500 miles. Sealant cartridge refills are available. 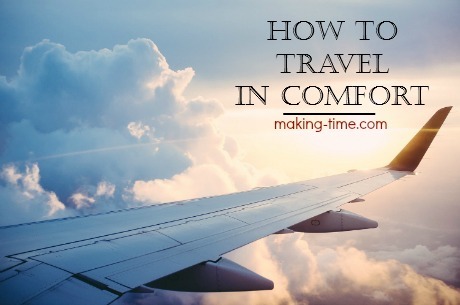 The next time you experience a dreaded flat tire, how will you handle it? 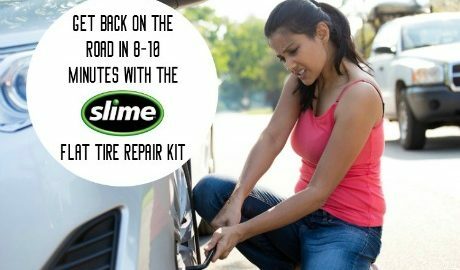 In all hopes the problem won’t be a total pot hole blow out (I hate these NJ roads), I’ll be using my Slime Flat Tire Repair Kit! Has your day ever been ruined by a flat tire? 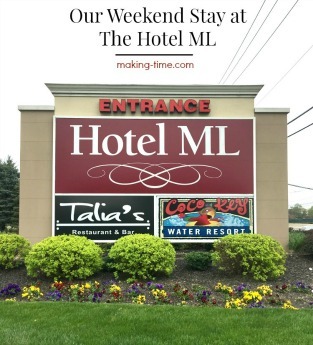 This a fantastic product to know about! Definitely need to get a hold of one to have on hand! I just had a flat tire a couple of weeks ago. I wish I’d known about this Slime Repair Kit, it would have saved a lot of time.